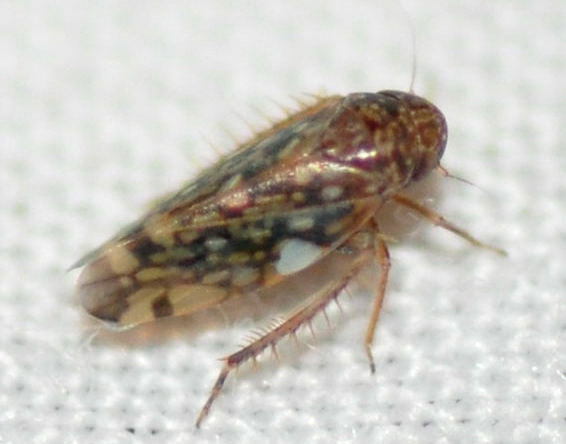 Description: A fairly small brownish leafhopper with patterns similar to other members of this genus. 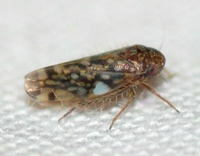 However, there is a distinct clear or pale spot at the base of the middle wing tip cell; the part of the cell near the tip is dark while the base of the cell (pointing towards the head) is clear. 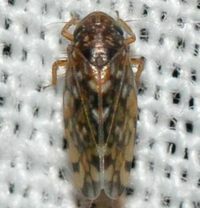 This cell pattern is characteristic of this species. 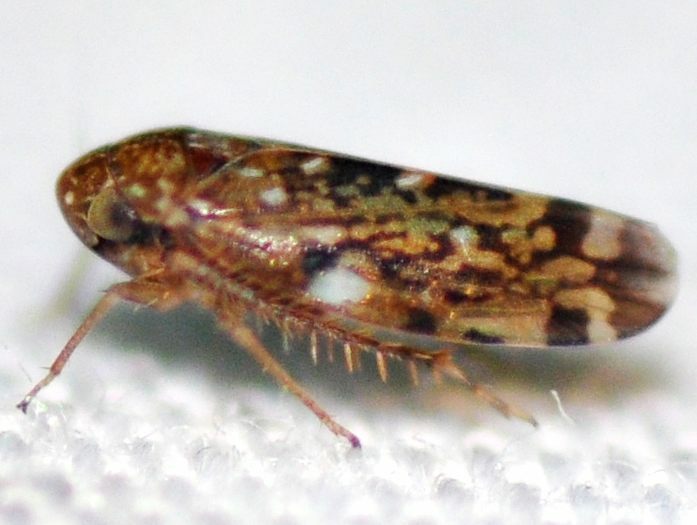 In addition, the dark color of the wing tip cells fades to white towards the outer edges of these cells (BG). The head and pronotum are also typically a brownish color, lacking much of the pattern that other species like X. superbus have. Distribution: A widespread species, recorded in the eastern U.S. and the Midwest (BG). Abundance: Recent records from the Coastal Plain and Piedmont, probably more abundant in the right habitat. Habitats: Has been found so far in grassy areas with mixed hardwood forest edge near pine forest. Comment: An "ant guest", it lives as an immature in the tunnels of ant nests where it feeds on the roots of plants. Adults fly around a lot, looking for other ant nests (BG).